[Tallahassee, Florida] – The Florida Guardian ad Litem Foundation on Friday honored Hillsborough, Pasco and Alachua counties for ‘going above and beyond’ in supporting abused, abandoned and neglected children through their local Guardian ad Litem programs. 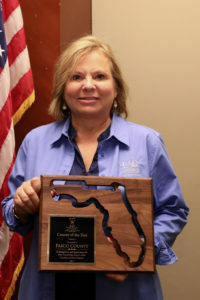 The foundation announced its first annual County of the Year awards, in conjunction with the Florida Association of Counties, at the FAC legislative conference in Sarasota. Alachua won the category for counties with populations of less than 500,000, Pasco for counties with populations between 500,000 and 1 million, and Hillsborough for counties with populations of 1 million or more. 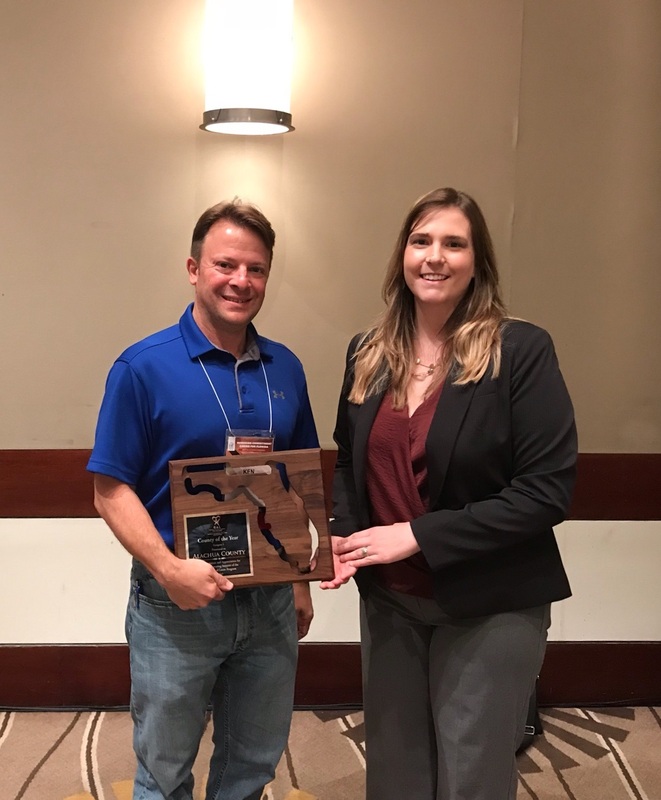 “The recipients of this award have provided outstanding support to their local Guardian ad Litem programs,” Riley Ashmore of the 8th Judicial Circuit’s GAL office told conference attendees. For instance, Ashmore said, her home county of Alachua provides GAL’s office and training spaces, communications networking and crucial supplies and more. In Pasco County, local elected officials have repeatedly shown their dedication to the GAL program of the 6th Judicial Circuit. Both Pasco School Superintendent Kurt Browning and Sheriff Chris Nocco recorded and produced public service announcements. Tax Collector Mike Fasano selected GAL as one of his ‘Non-profit of the Month’ recipients, and set up information tables about the program in two of his busiest offices. Pasco Clerk of Court Paula O’Neil implemented a program by which jurors could donate their service fees to GAL or local domestic violence shelters. Public schools and libraries also do projects to raise awareness. 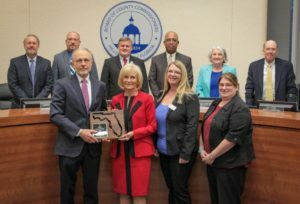 In Hillsborough, which won the award for the largest counties, GAL Circuit Director Tabitha Lambert on Wednesday made a special presentation to the county commission. Hillsborough currently leads all other Florida counties with an estimated 3,600 foster children, and only about half have a GAL volunteer to represent their best interests in dependency court. However, Lambert said, Hillsborough County has gone the extra mile to help. Thanks to the county’s efforts, she said, the GAL staff was able to certify more than 200 volunteers this year, enabling the program to represent more children. And Hillsborough Commissioner Sandra Murman, who is also a GAL volunteer, was instrumental in establishing a Blue Ribbon Panel Committee that brought together local leaders of the child welfare community; the group uses data analytics to help strengthen children and families.